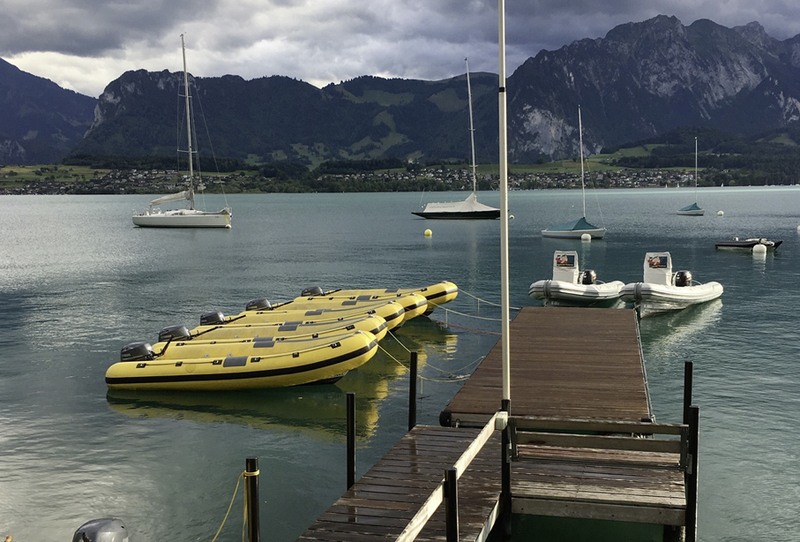 In a postcard landscape, surrounded by medieval castles, nestled between the green slopes of the Alpine foothills and the imposing backdrop of the Eiger, Mönch and Jungfrau peaks, lies Lake Thun, in the heart of Switzerland and only 30 km from Bern. 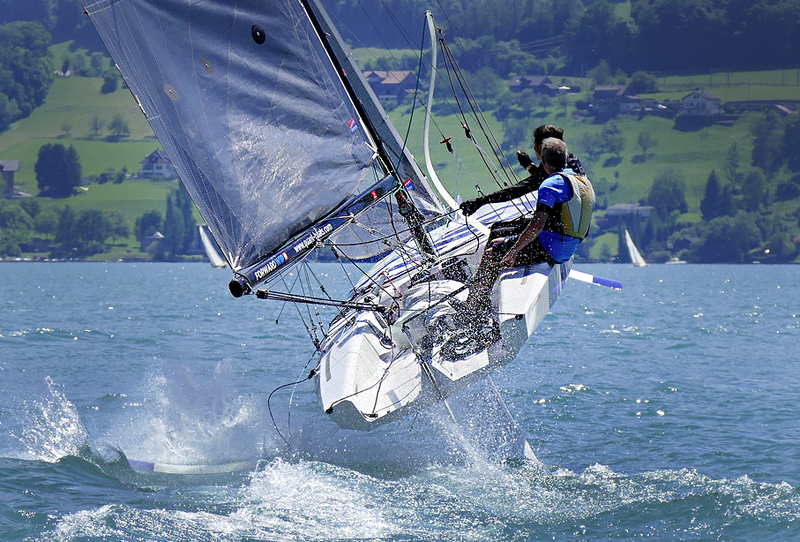 The Bernese Oberland has a lot to offer: besides numerous water sports on and in Lake Thun, the region offers a wide range of different leisure and sports activities, cultural activities and excursion possibilities for every taste. 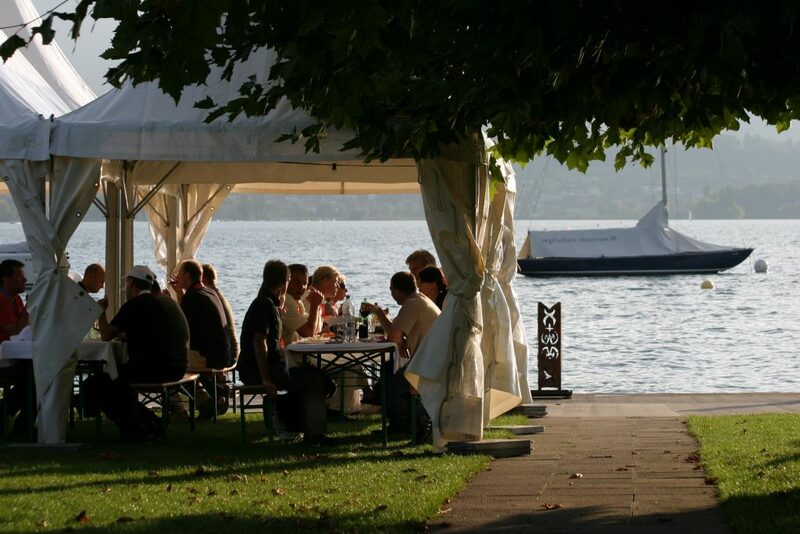 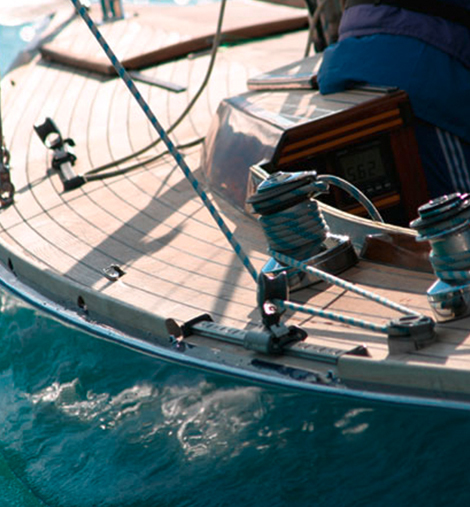 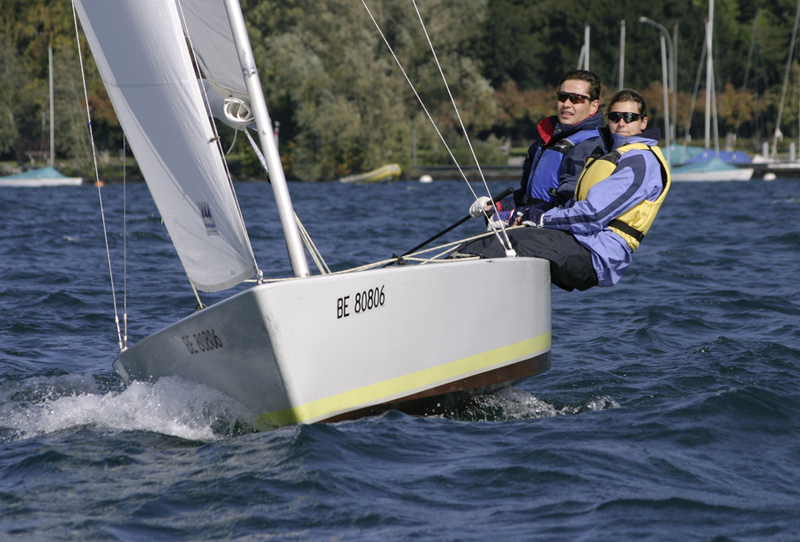 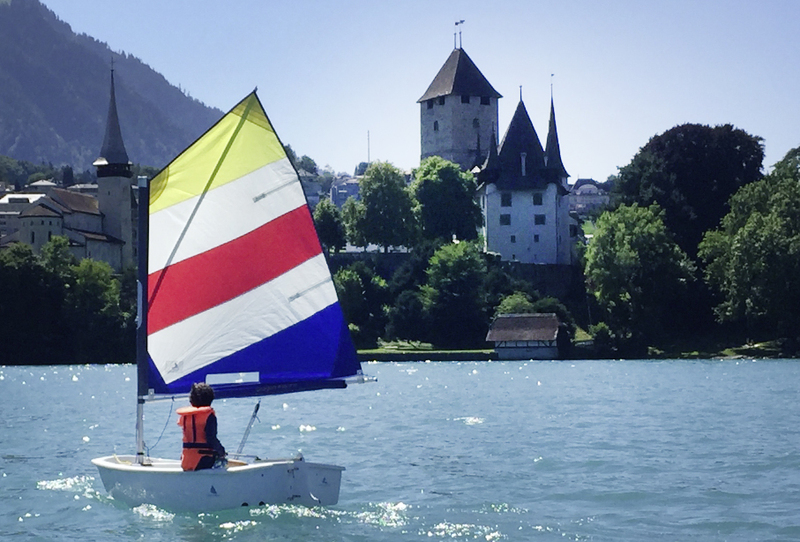 Founded in 1935, our sailing school is today the largest in Switzerland. 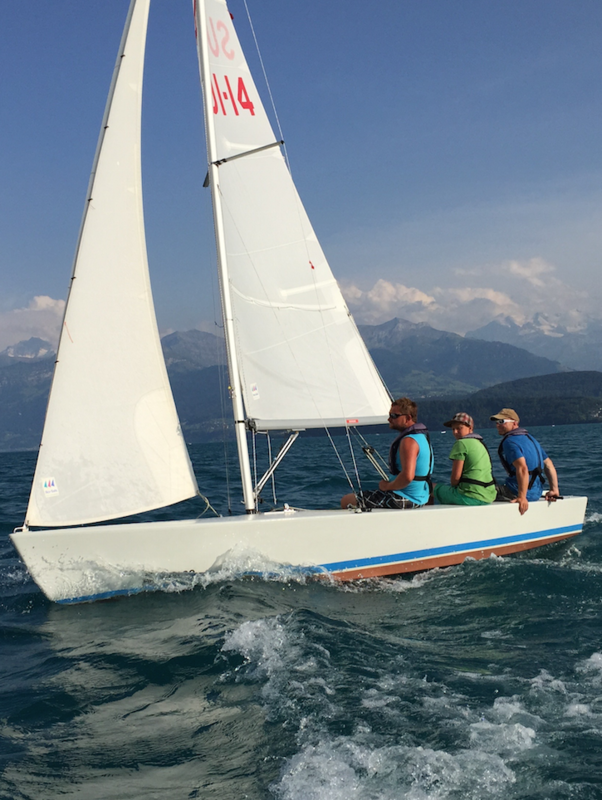 We owe this to our exceptional instructors, our modern teaching methods and, of course, the unique wind conditions that Lake Thun has to offer. 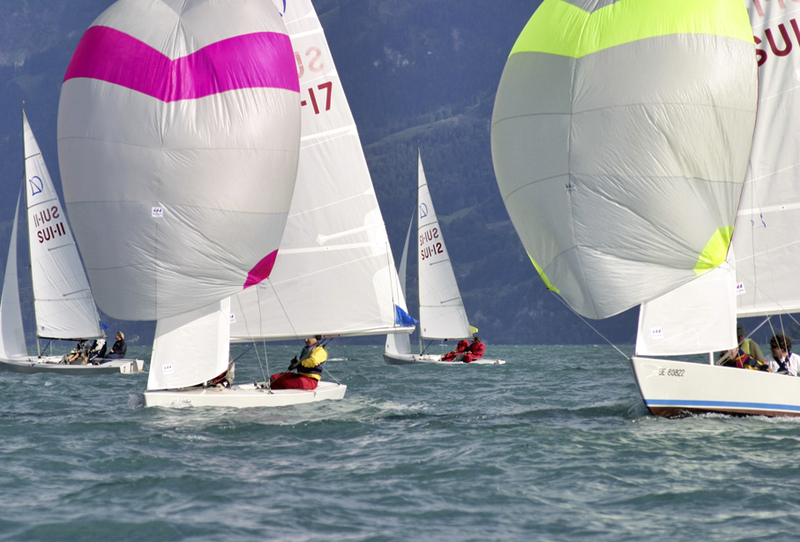 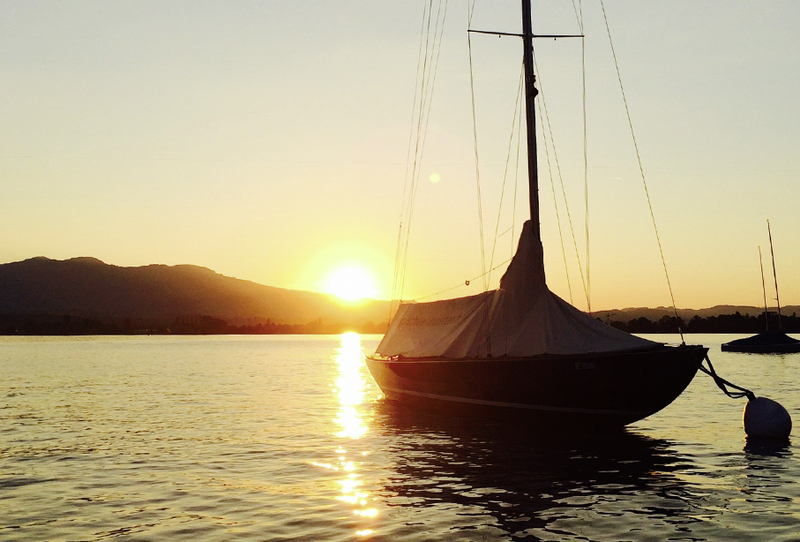 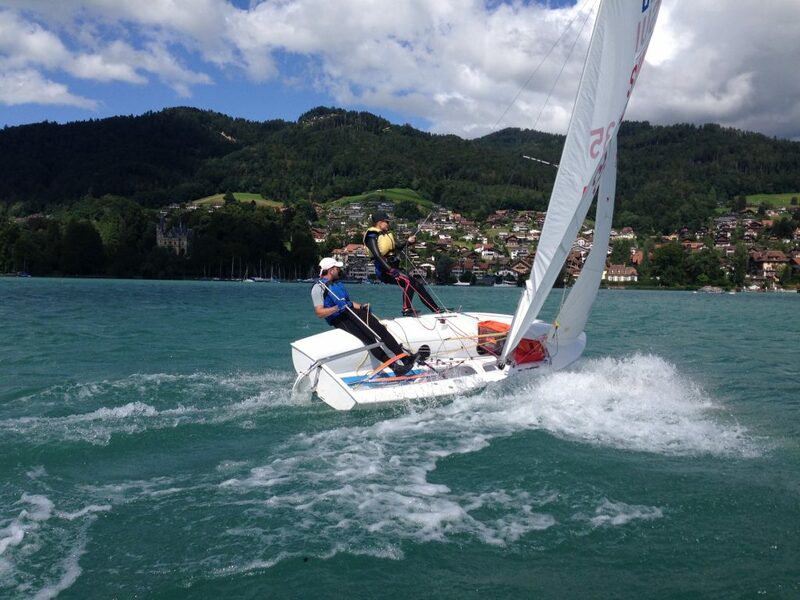 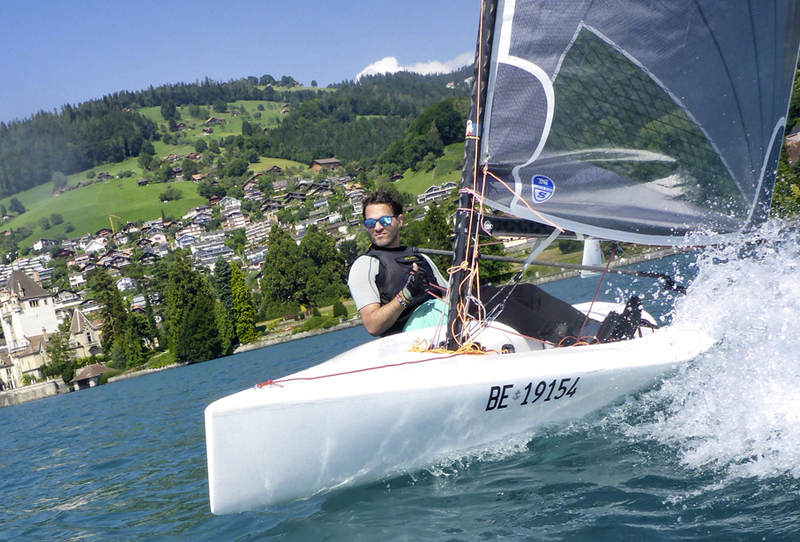 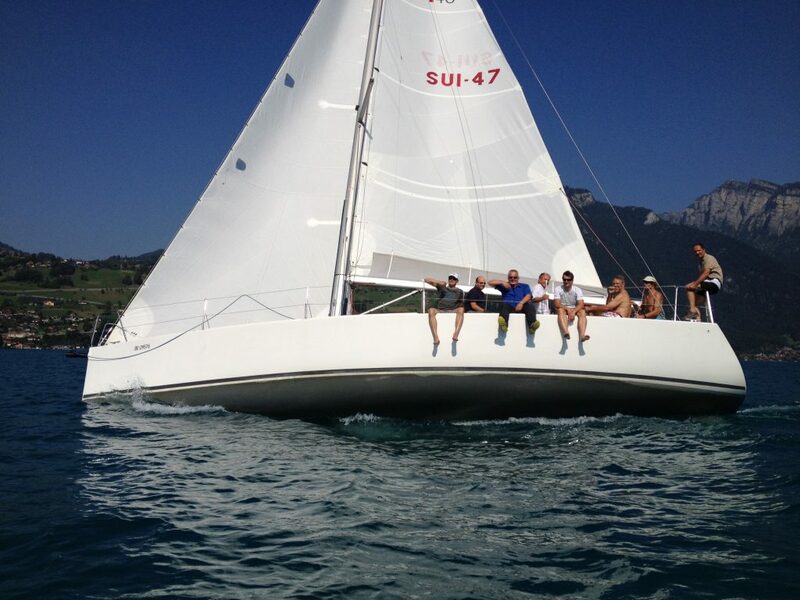 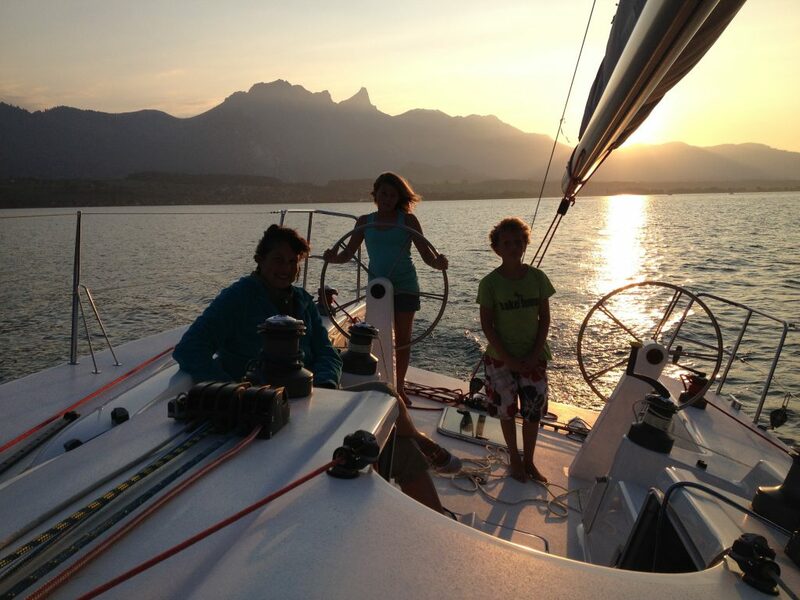 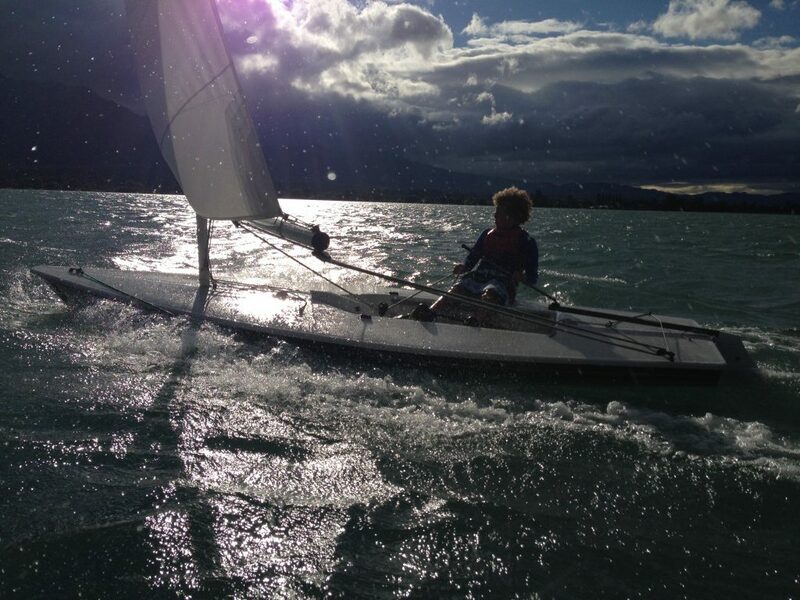 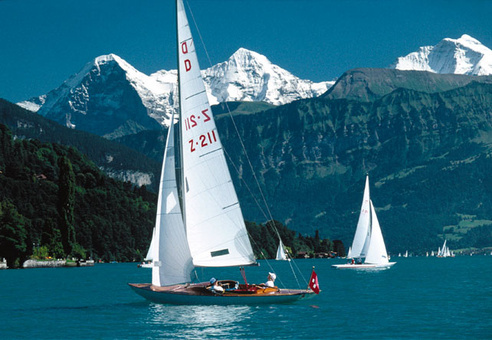 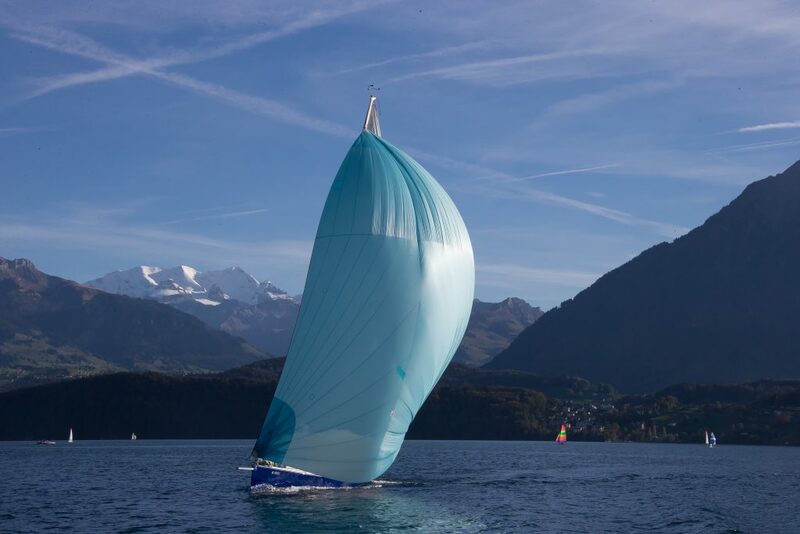 Lake Thun offers excellent sailing conditions all year round guaranteed by the almost constant presence of wind. 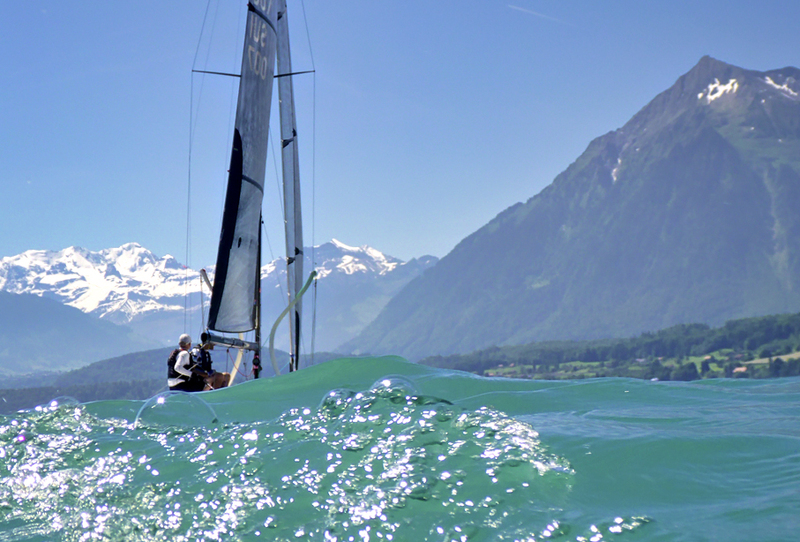 During the best sailing season, in the hot summer months, the sun-warmed Alps provide for regular thermal winds of medium strength from midday till afternoon. 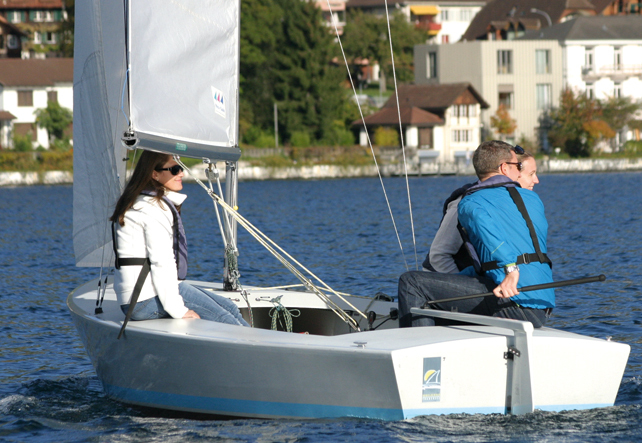 Ideal conditions for unique sailing experiences. 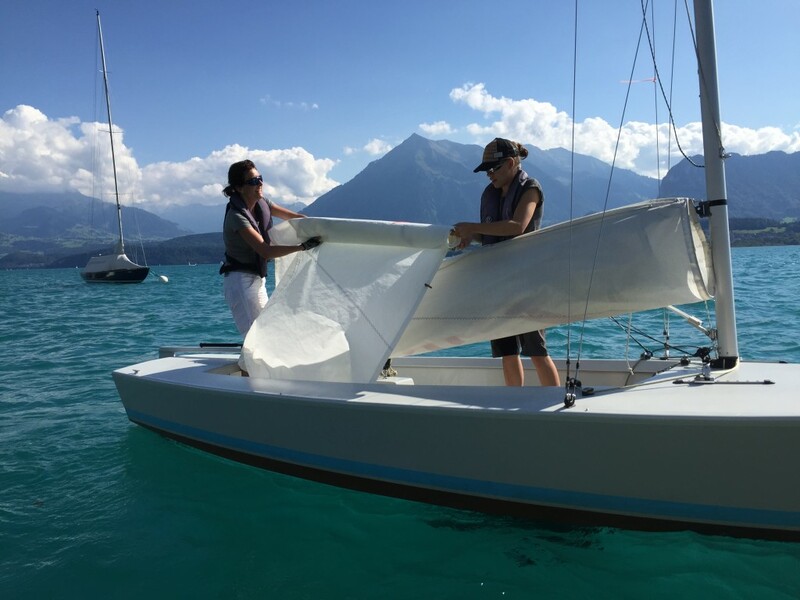 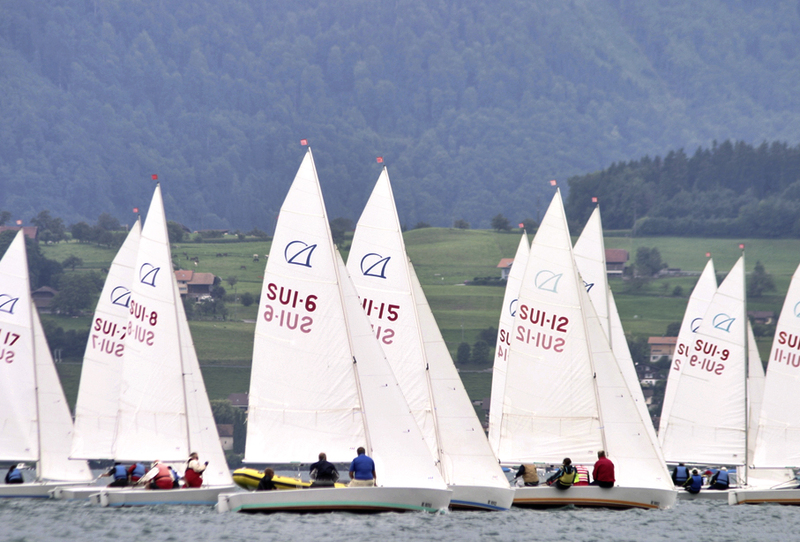 The two bases of the sailing school in Hilterfingen (with impressive panoramic views of the Alpine foothill mountain range and the Niesen and Stockhorn peaks) as well as in the idyllic bay of Spiez (with its vineyards and the castle) provide safe havens for your first sailing experiences. 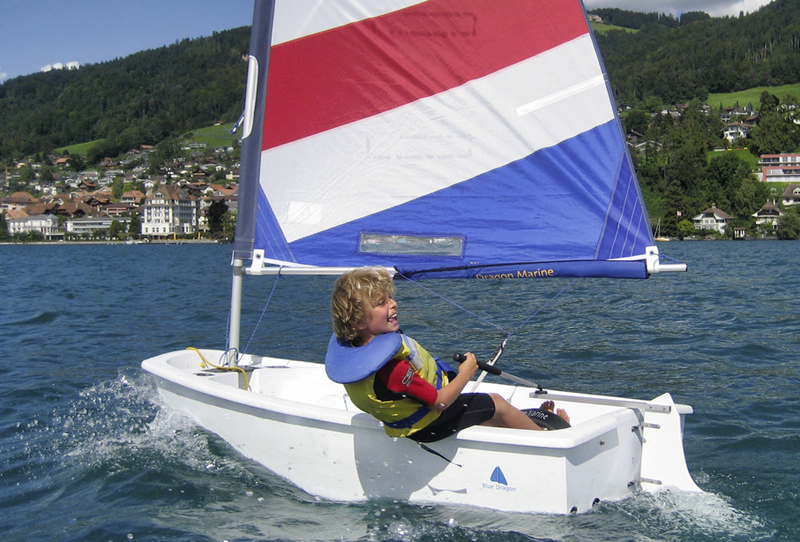 Our varied course offerings range from taster days for the curious to special courses for regatta sailors and from the optimist course for children to offshore preparation and events. 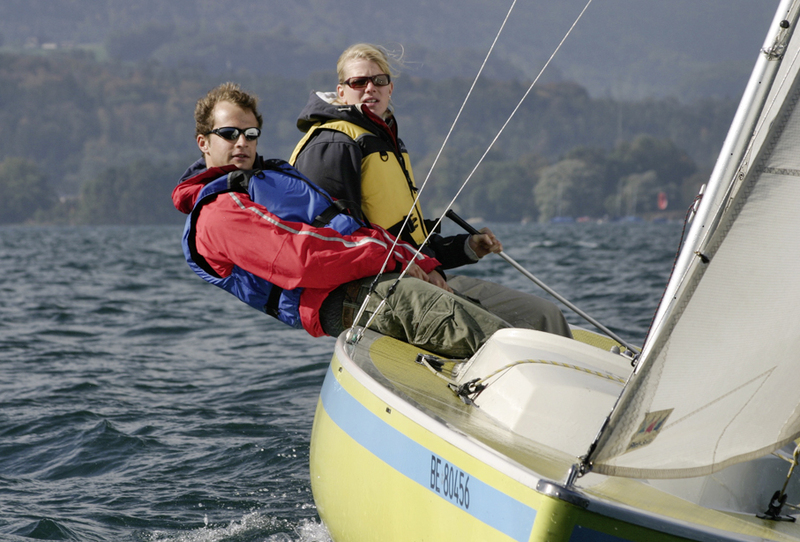 Information about upcoming wind and weather conditions. 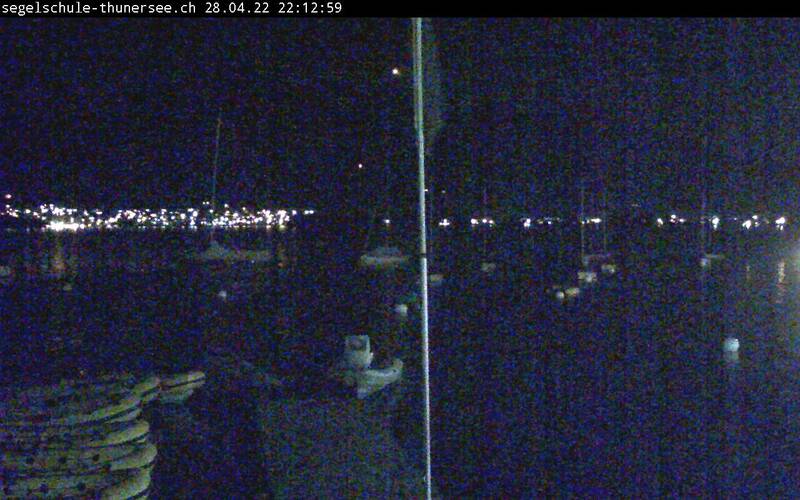 Review of previous weather conditions from our webcam.